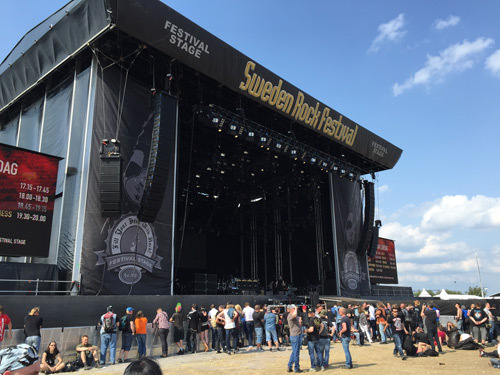 SWEDEN: For the 2015 Sweden Rock Festival, production manager Pelle Åberg selected a Meyer Sound LEO linear large-scale sound reinforcement system for the main stage to support headliners such as Judas Priest, Mötley Crüe, Def Leppard, Slash, and Toto. With its exceptional headroom, the system provided the crew with excellent coverage control, while eliminating the need for delay towers. 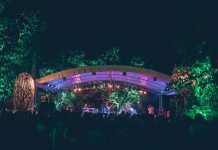 Main hangs for the festival stage were 15 LEO-M and two LYON-W wide-coverage line array loudspeakers per side. Out-fill hangs were five LEO-M and two LYON-W loudspeakers per side, two JM-1P arrayable loudspeakers provided front fill, and 36 1100-LFC low-frequency control elements were deployed in two end-fire arrays. A Galileo Callisto loudspeaker management system with four Galileo Callisto 616 and two Galileo Callisto 616 AES array processors provided system drive and alignment. System provider was Starlight, part of the Bright Group. 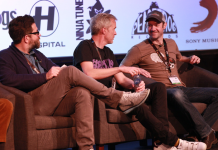 Starlight / Bright’s Fredrik Arwidson was system engineer for the festival stage, with Anders Häggblom serving as FOH system tech. For more information, check out Meyer Sound’s official website.